This past Saturday, Sept. 8, brought much cooler weather, and steady rain and wind. 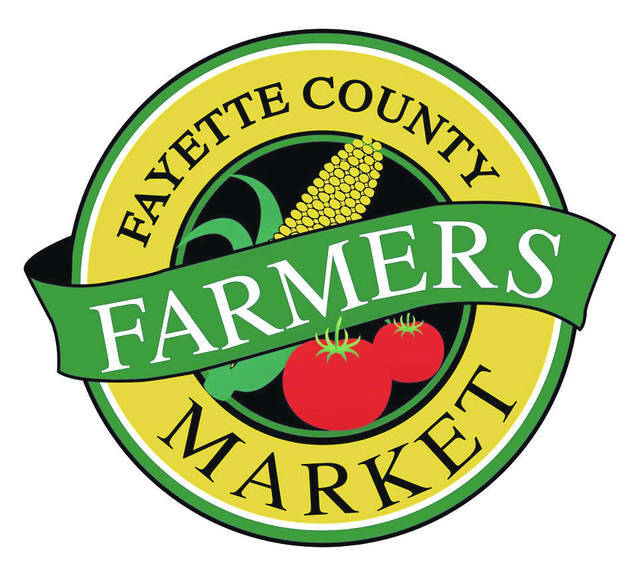 While the rain was appreciated by those who measure precipitation not just for the needs of the moment, but long term aquifer, stream and lake health, the weather was not the best for Fayette County Farmers’ Market vendors or customers. After such hot weather all week prior to the rain, it seemed particularly chilly when skin and clothing got wet…just plain miserable, in fact! It was a pleasure to see our weekly customers there despite the less than perfect weather, and we were gratified to hear that two young girls (both less than 6-years-old) apparently insisted on visiting the market! We have so many market champions, both young and a bit older than young, and we so appreciate you. There are only three Saturday market days left in the season. We went into mid-October last year, but the vendors voted to end the season with the close of September this year. Consider using the remaining market days to exchange greetings, and plan for the fall and winter times of family and guest gatherings, and giving thanks and giving gifts of appreciation and love. Much of the produce (think potatoes, sweet potatoes, garlic, beets, squash, apples) stores will in the frig or even on the counter or in a closet or garage. Honey is a treat that never goes bad, and most vendors sell, raw, unfiltered honey, the best kind for healthy eating and wound treatment, and a very special gift (as are the homemade preserved jams and jellies). Many baked goods may be purchased fresh and then frozen for a special treat during a family meal, or social gathering. And the crafts sold at the Fayette County Farmer’s Market are incredibly inexpensive…a few dollars spent now on a special, Fayette County made craft gift for the holidays, saves last minute shopping aggravation and higher costs inevitable when making last minute purchases. Modern Woodmen member Debra Grover and others will be selling Lemon Shake-ups this Saturday to benefit The Well at Sunnyside. Funds raised will be used to replace badly needed flooring in the community meal area at The Well and Modern Woodmen, a fraternal financial services company, will match the funds raised up to $2,500. The market is open Saturday morning from 8:30 to noon and is located in the municipal parking lot on the corner of South Main and East East streets in Washington C.H. SNAP EBT food benefit cards, Senior Farm Market coupons and credit/debit cards are accepted. Those using the SNAP EBT card for produce receive matching dollar “Produce Perks” tokens ($1 for $1) for additional fruits and vegetables. So,”buy one, get one” for fruit and vegetables, up to $20 EVERY market day. B.Y.E. Gardens (Brian and Elaine Yoder): Tomatoes, zucchini, candy onions, cucumbers, bell peppers, garlic, seedless watermelon acorn, spaghetti and butternut squashes and baked goods. Forgotten Way Organic Farm (Cathy Ludi): Therapeutic grade essential oils, wooden signs, homemade soap, vanilla, balms, dry shampoos, and foot soaks. Jones Farm Fresh Produce (Jon & Taylor Jones): Tomatoes, squash, onions, garlic, peppers, potatoes, apples, pumpkins/gourds, mums, chicken patties, chorizo chicken links, chicken breast, wings, bulk sausage, ground pork, hamburger patties, ground hamburger and brown eggs. Persinger Cottage Foods (David Persinger and Julie Mosny): Jam Man: jams, jellies, peach butter. Stock includes: red raspberry jelly, a few NO added sugar varieties: strawberry, blueberry, and black raspberry. Texas sheet cakes.